Apple uses its own iOS software. Sometimes the update come with bugs that create trouble. Sometimes iPhone freezes and touch stops responding. No iPhone is immune to issues and the latest iPhone X also shows some kind of issues with latest update updates. Most of the people who have been using iPhone for long know how to deal with this. They know how to restart the iPhone or reset settings. But that knowledge is of no use in iPhone X. The reason is the big changes in design. 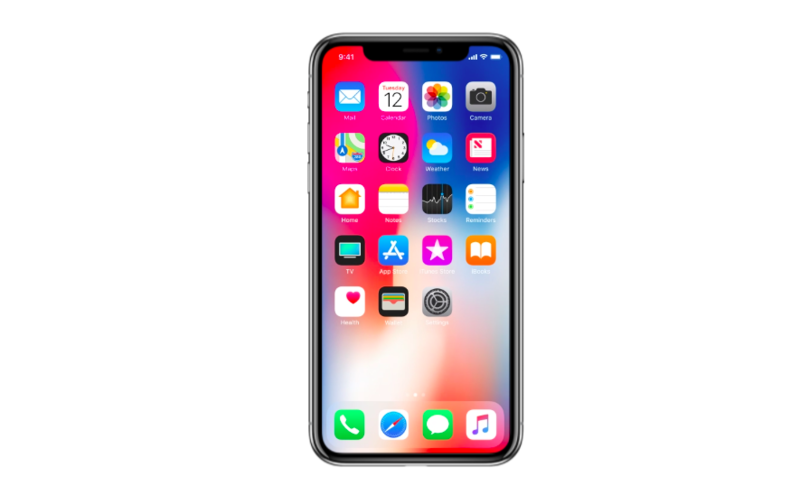 Apple launched iPhone X with big changes in design. It completely removed the Touch ID and moved ahead with Face Unlock. The phone has full frontal display with a top-notch that makes its design unique. So, the company also changed lots of things that you could do differently in older iPhone models. Now if you long-press on the Side button, it will activate Siri. The process to turn of the device is not the same as in other iPhone models. It is actually a little tricky in the newest Apple model. Not just restart, so many other things also do not work in the same way. Here are the steps to force restart iPhone x. You need to quickly follow these steps one by one without much delay between two consecutive steps but do not do at the same time. Now your iPhone X should enter in the reboot and will take some time in restarting. When it has been restarted, you will see the lock screen and you will have to enter the PIN code to unlock the phone. Your iPhone X should work better now. So, you can start checking what could be the issue. The forced restart will have no impact on your phone’s data and you will find everything same after the reboot. You could further troubleshoot to find out the root of the problem you faced. Still, I recommend all iPhone users to take regular backup of the phone using iTunes. When you have an easy way of taking the backup, why not use it properly. I also want to say that you will not face problems occasionally. Problems that necessitate force restarts will not come very often. Most devices that are jailbroken suffer from issues and needs force restart. Still, you must know how to do this. If this happens frequently on your iPhone X, you should first take the back up of your data and then try to reset all settings. If you couldn’t fix this problem, you must visit the Apple customer support center. Apple provides one year warranty on all standard problems with iPhone devices. So, you should not hesitate in taking help from the company for issues. Now you know how to force restart iPhone X. If you own iPhone X, you must know about it. It helps a lot when you face issues like touch screen not responding, iPhone Freezes or you see random lag issues. In all these cases, you can use the force restart and then start finding the root cause of the issue. This does not wipe any data from your phone. So, you do not need to worry. If you take the regular backup, you can also avoid any kind of data loss. People generally feel that Apple devices do not show issues but this is just a misconception. I have seen many people struggling with several issues. Touch issue, low sound from the earpiece and not charging are common issues. You can see millions of videos on iPhone fix related videos. That shows how many people are facing issues. Still, iPhone is good in terms of performance and durability. People are using their 4 years old iPhone without any problem. On other hands, the Android phone becomes almost useless in less than 2 years. I personally use OnePlus 5 and I am really happy to get premium features and high-end performance at low cost. Still, you cannot compare iPhone X with OnePlus 5T or any other low-cost phones offering good performance. Apple’s own chipsets are beast and offer much better performance than Chipset used in Android devices. We have lots of interesting articles on iPhone and other gadgets. Do not miss those.